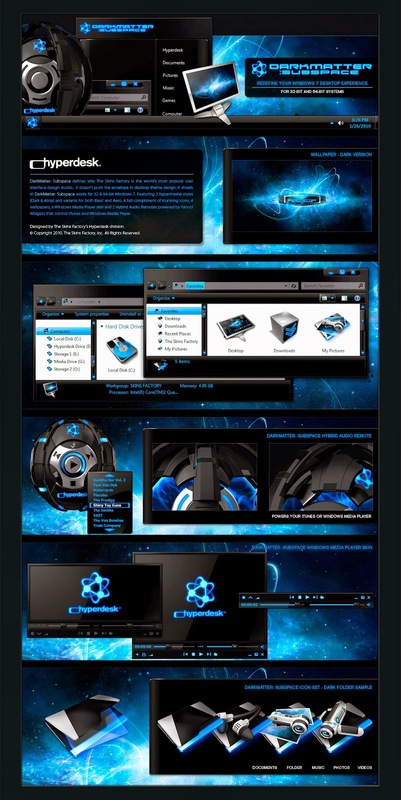 DarkMatter: Subspace for Windows 7/XP/Vista features 2 themes, icon set, custom wallpapers, media player skin & an animated iTunes/WMP audio remote. Sold separately or as part of the DarkMatter Quadrilogy set. For more information click Download to go to Hyperdesk.com. All images © 2010. The Skins Factory, Inc.